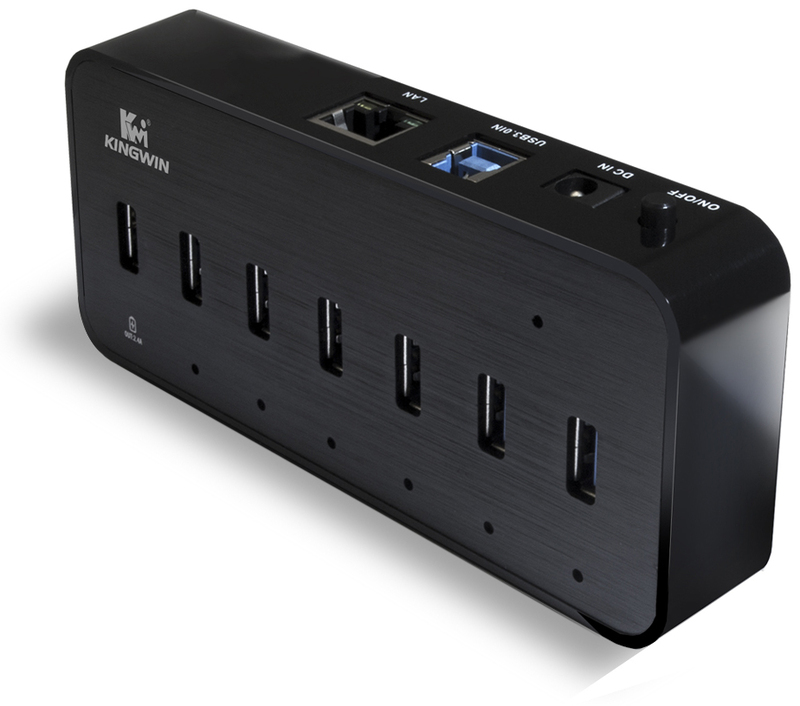 7 Port USB 3.0 HUB plus Charging Port and Ethernet | KWI Technology Inc.
Kingwin is pleased to announce the release of KWZ-EC7. 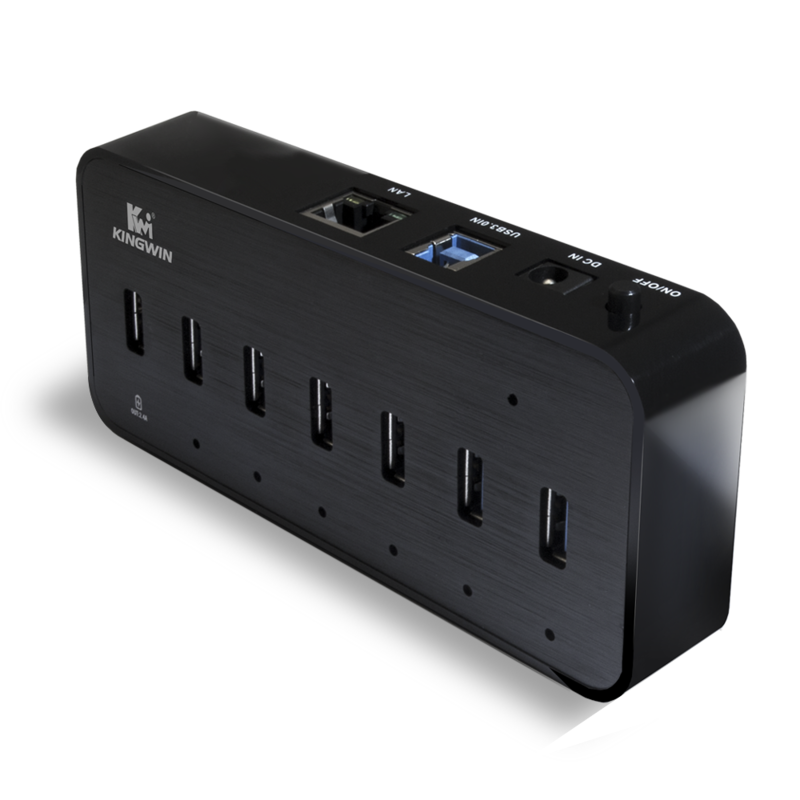 This game changing product is an innovative USB Hub which is manufactured with highest quality materials, making it durable and reliable. The stylish black brushed aluminum finish and glossy black ABS plastic gives the KWZ-EC7 an elegant and modern look. The KWZ-EC7 is aesthetically pleasing and has a high performance you can count on. 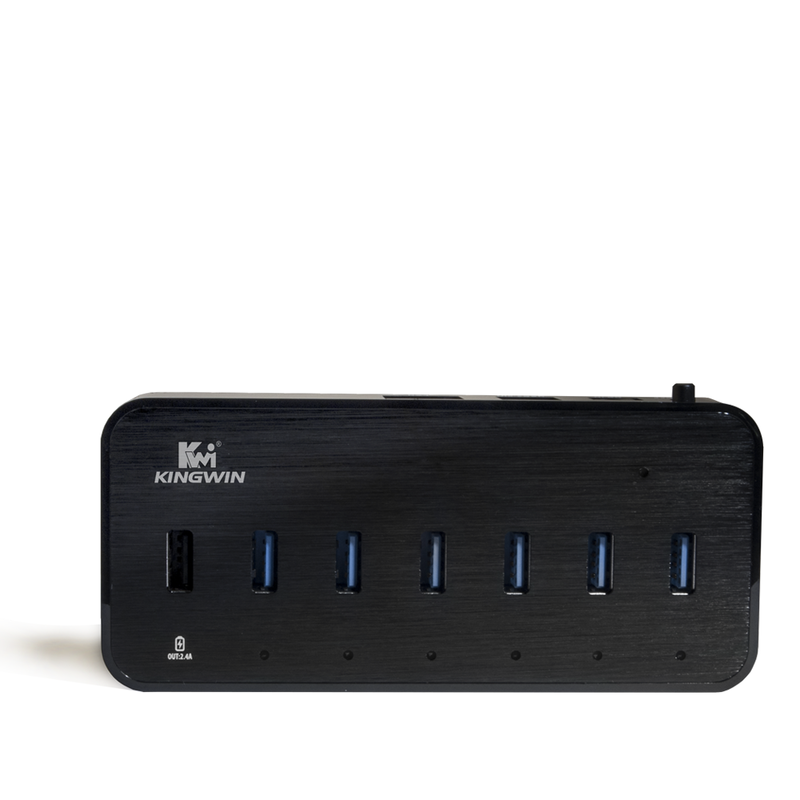 The KWZ-EC7 allows for the expansion of one USB port into six. 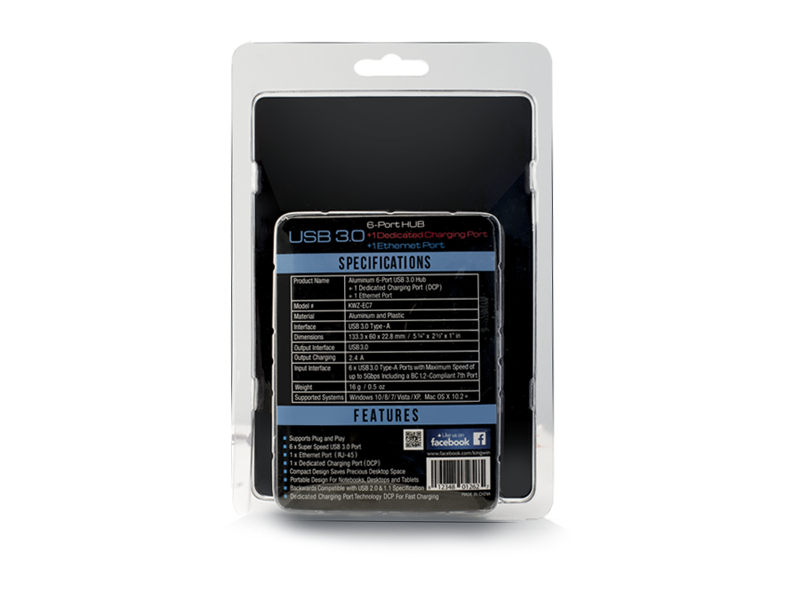 Experience the difference with USB 3.0 which is designed to provide blazing fast data transfer rates. 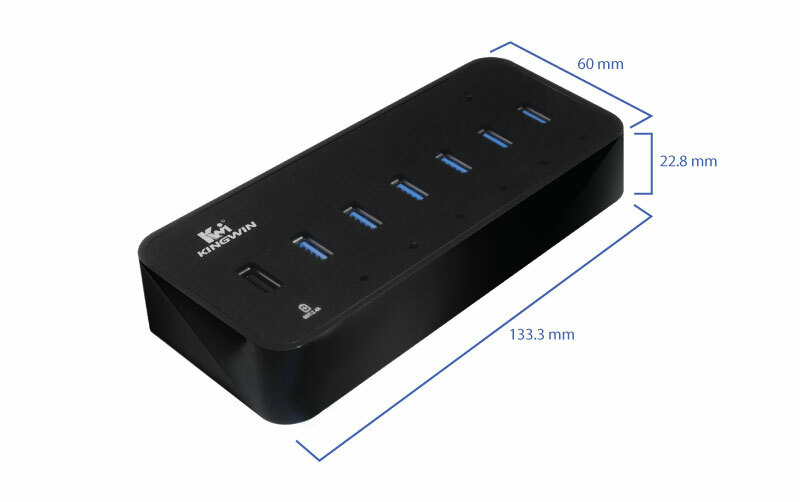 Its Super-Speed USB 3.0 ports will significantly perform faster and is useful when transferring large amounts of data between devices. Distinguished by its unique feature of being network capable, it is one of the latest inventions in today’s market. 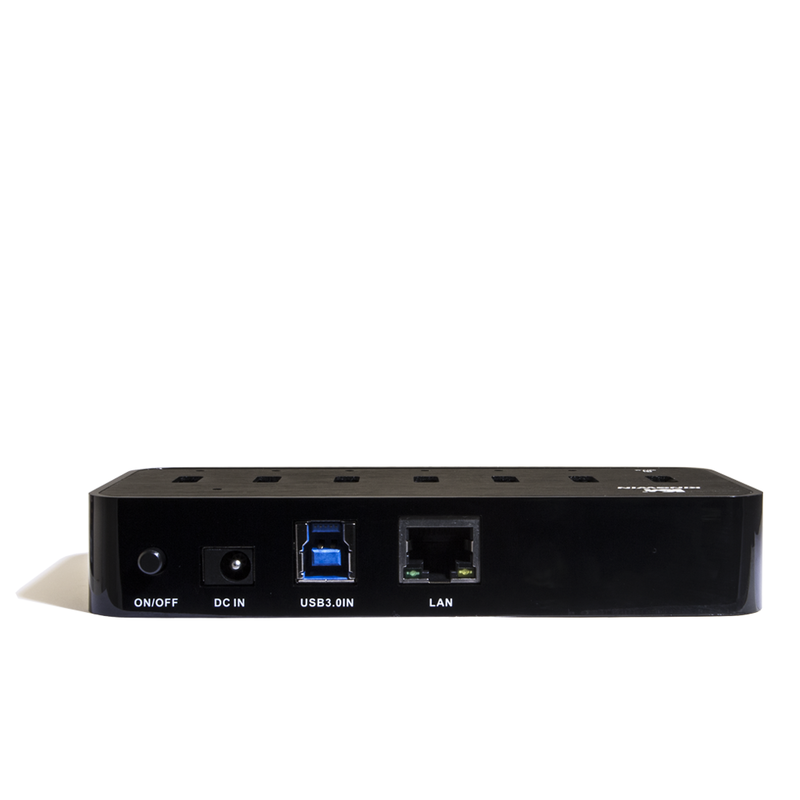 The KWZ-EC7 is equipped with an RJ-45 port also known as an Ethernet port. 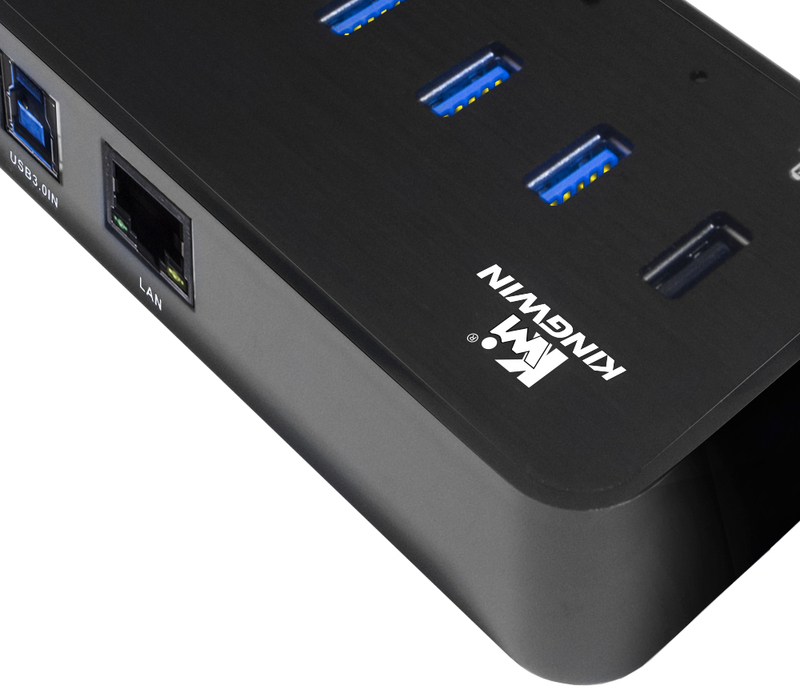 The KWZ-EC7 comes in handy when you find yourself in need of adding an Ethernet port to your machine. 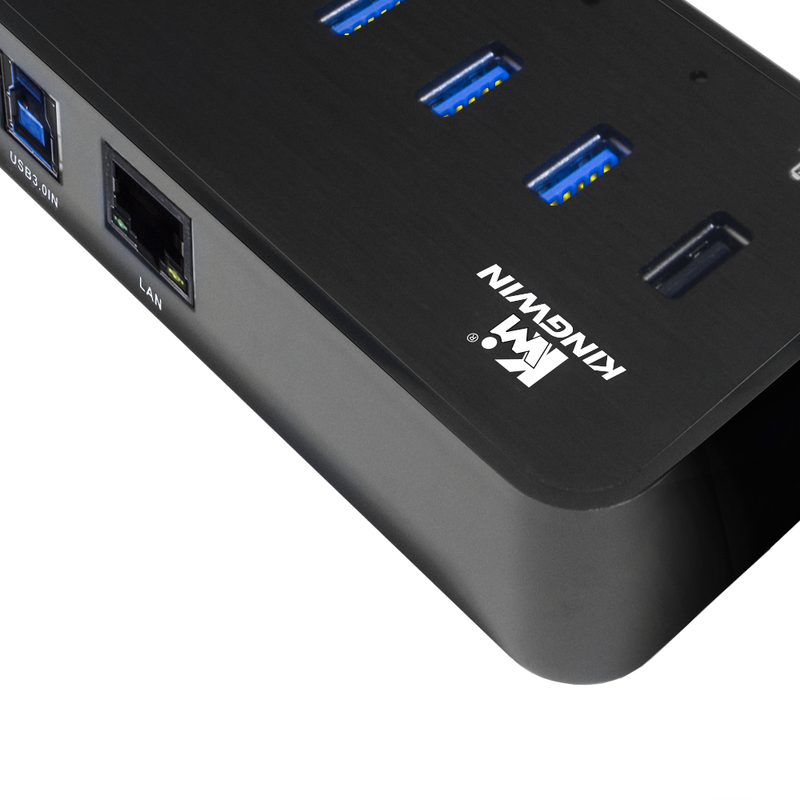 Another added feature to the KWZ-EC7 is a special Dedicated Charging Port (DCP). 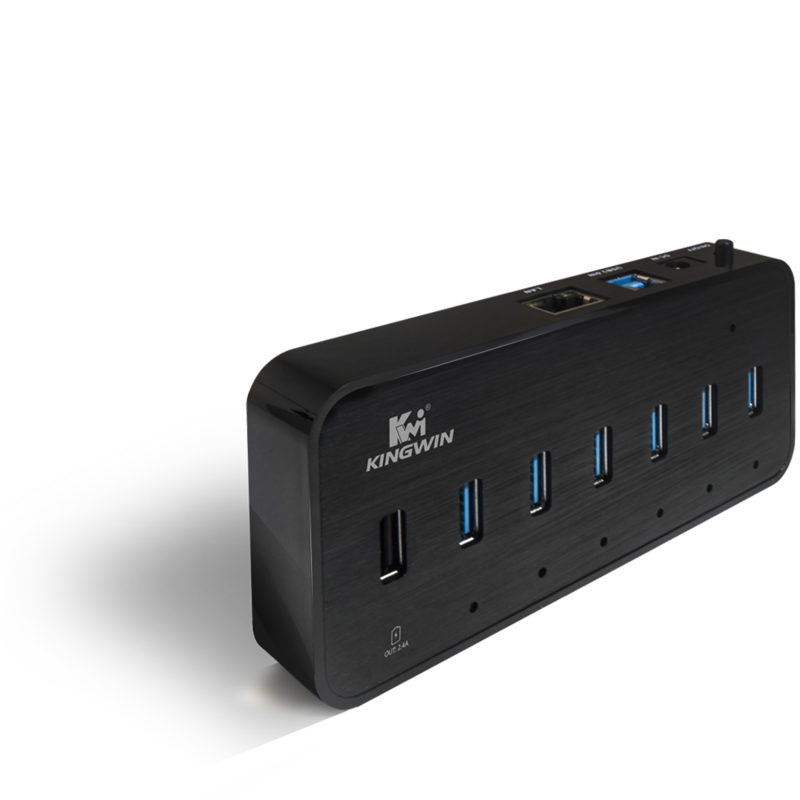 It charges mobile devices just as fast as an average wall charger. 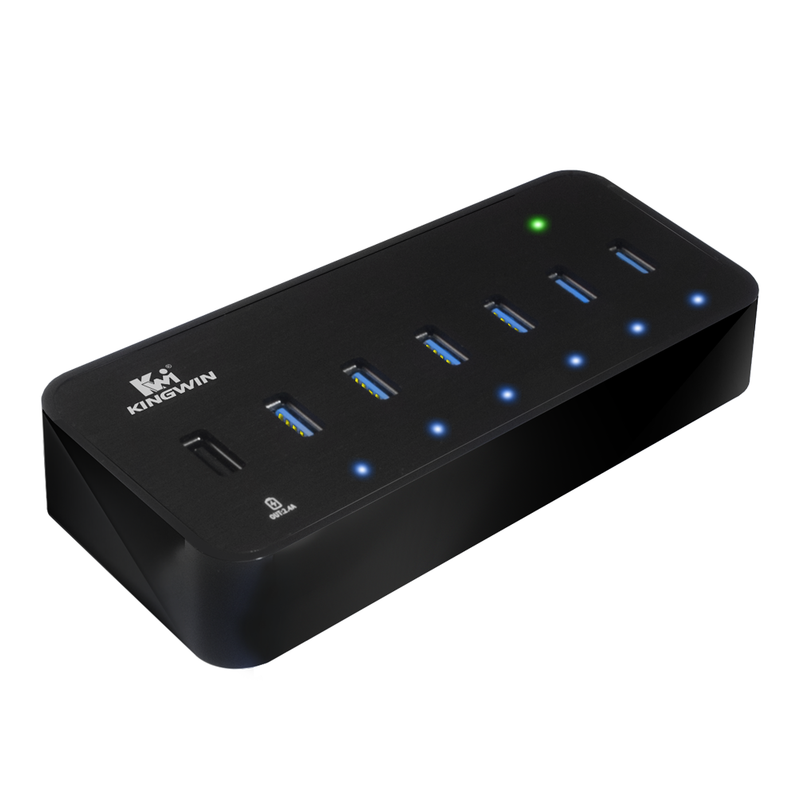 The DCP, which has a charging output of 2.4A, will charge any devices like cellphones, tablets, power banks, GPS devices, etc. The KWZ-EC7 is light in weight, yet bold in performance. This makes it perfect for on-the-go lifestyles, working professionals at the office and for families to use at home. 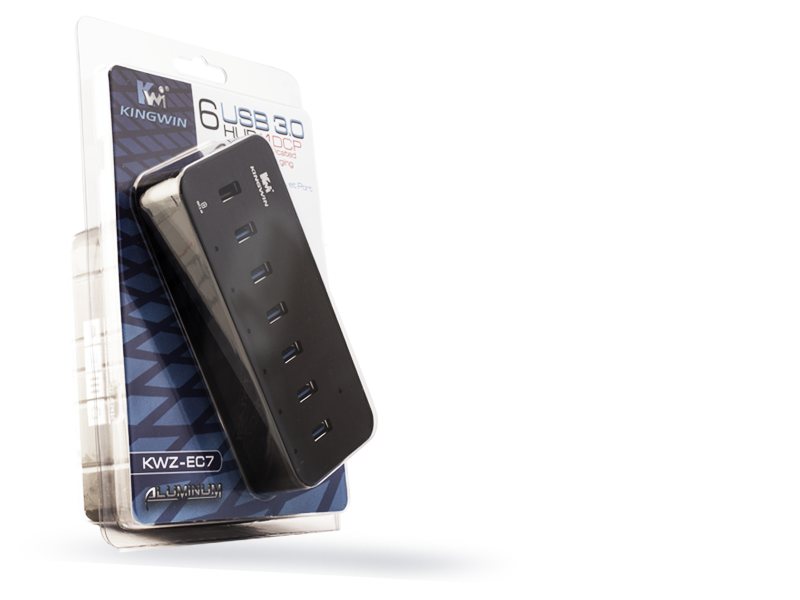 The KWZ-EC7’s Plug and Play functionality makes it compatible with any device integrated with USB 3.0 Type-A Ports and it is backwards compatible with USB 2.0 and USB 1.0. 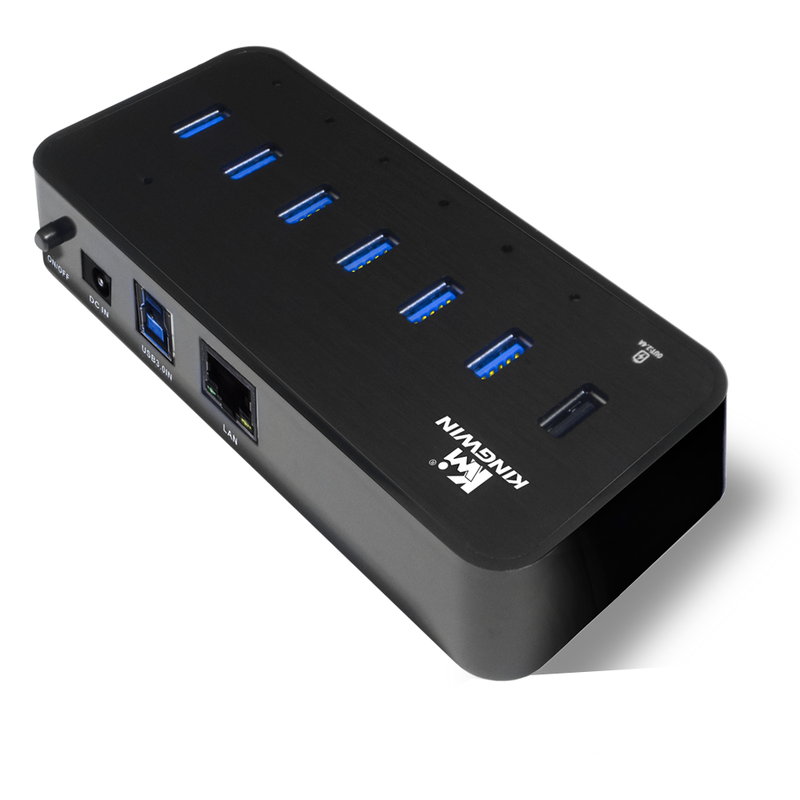 It works flawlessly with any operating system such as Windows 10/8/7/Vista/XP, MAC OS X 10.2+, Linux (Any distribution). No drive installation is required.